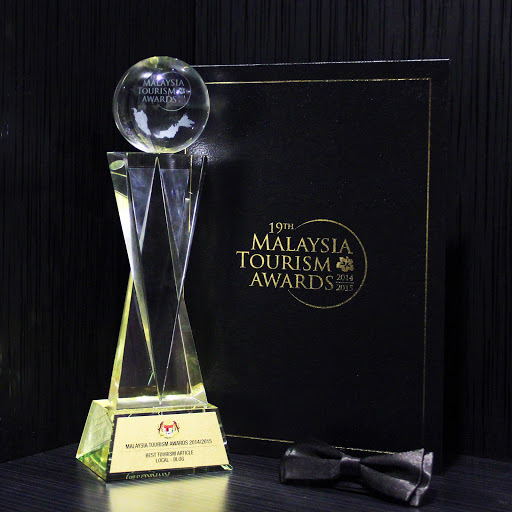 So yes, the old news is that Ramble and Wander had been announced, last February, as the winner of 'Best Tourism Article - Blog' award at the 19th Malaysia Tourism Awards 2014/2015. It was really a surprise, a very nice one of course, to have won the award when you least expected it. In fact, I was going to skip the black tie event despite being a finalist in the award category because I didn't think I was going to win due to fierce competition. To have been shortlisted as one of the finalists was already an honour for me. Luckily, I changed my mind a few days before the event and went ahead and attended the grand award ceremony. 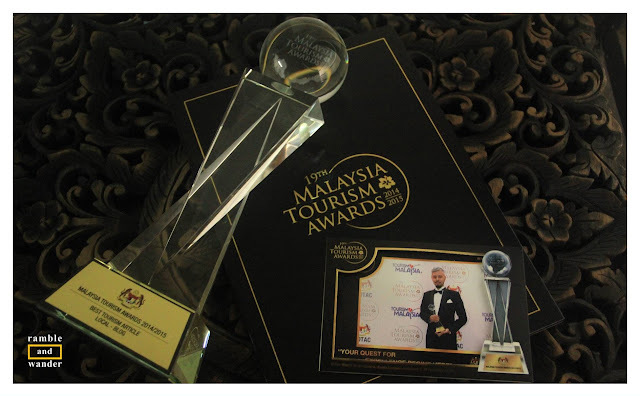 Considering that the biennial event and its awards is "the highest form of recognition by the Ministry and Tourism Malaysia for industry players" and the fact that each award category was decided by its own panel of judges that is made up of industry professionals & experts, I'm thoroughly humbled & proud at the same time by the award & recognition given. It's definitely not something I'd thought of, or set out to achieve, when I first started my travel blog a few years back. So thank you, thank you, thank you, to everyone of you who has supported Ramble and Wander in one way or another, these past few years. 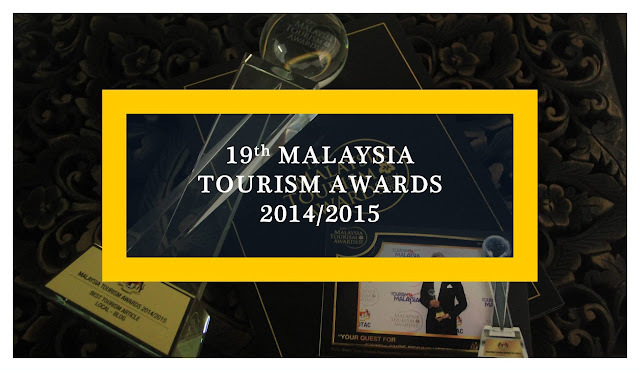 Do know that you have a share in this award too. Thanks, Kai. Takde artis nya, tapi kalau nak autograf, cakap je lah. Hahaha! Congratulations abe RaW. Well deserved! Thanks, Pojie. I don't know about inspiring others but you do inspire me. Ewah, heheh! Thanks, bro! Still rasa tak percaya so still not sure how to kipidap, haha!